For several years now I’ve been planning a big garden makeover. My plan starts with our existing wooden garage that needs attention, I would pull that down. 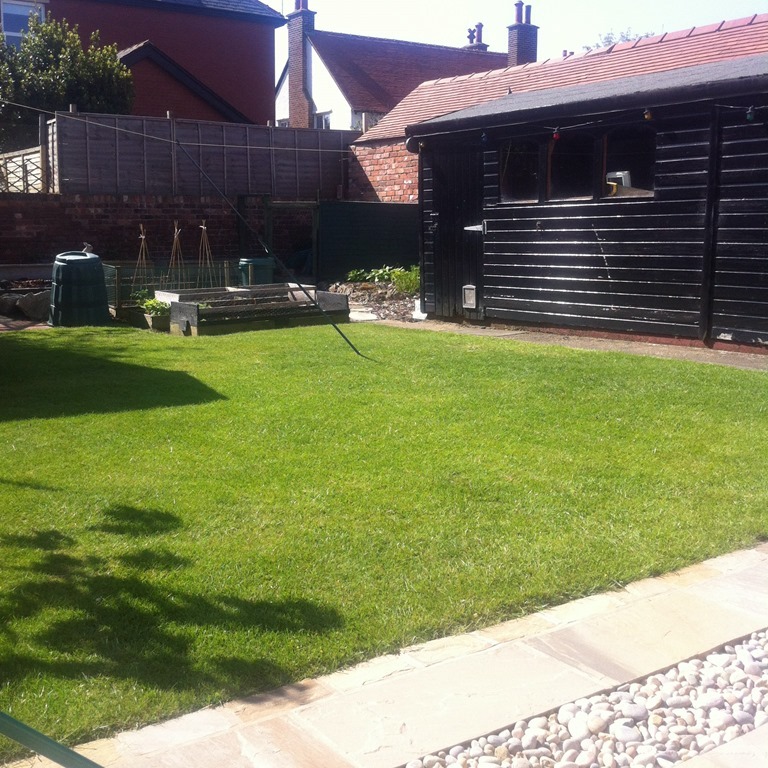 I would then get a much larger and more substantial garden building made across the whole of the back of the garden. This new building would include a family store room, a garden tool shed and a large workshop/studio. We already have a lovely stone patio but I’ve planned another one where the garage currently stands. Finally I want to remove our existing shed and replace it with a large greenhouse with raised beds, and scrap our existing tiny greenhouse. You might notice that there’s a lot that will be sacrificed in the makeover. 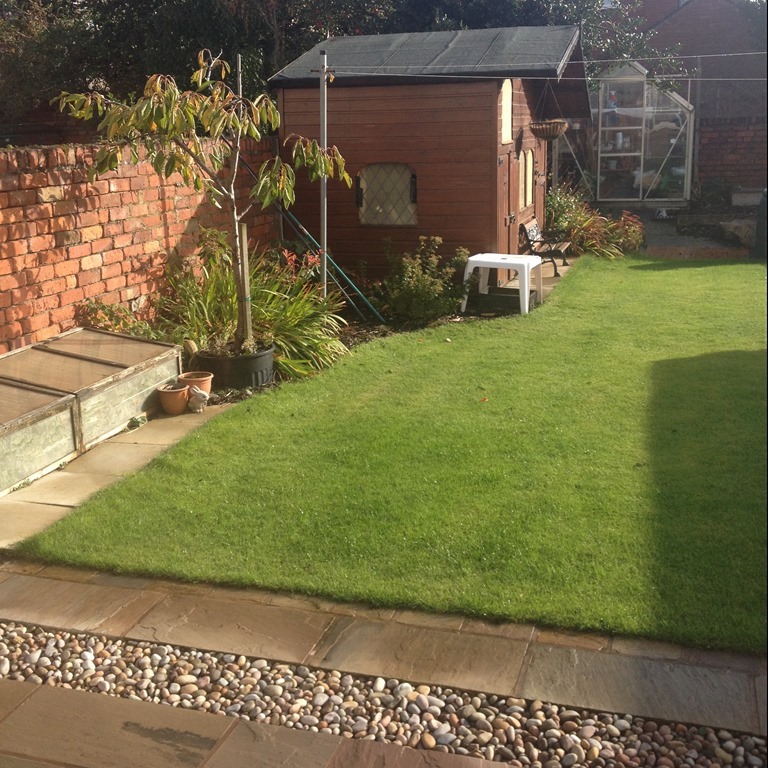 The existing garage, shed and small greenhouse and the existing raised beds would all have to go. That’s a lot of waste and the whole thing is a lot of work, many months of stress and disruption and an expensive investment. How do I correlate all this waste and expense with my principles of living simply and not buying things? Why do I need a new large greenhouse when I hardly use the small one that I currently have? Why do I need a large studio and workshop when I can’t even find time to sketch now? Why do I need another large patio, when I love the one I have already? What experiences could I buy with the £15K that all this work would eventually end up costing? Can I handle the months of stress and disruption? I hate working in spaces that are untidy, so I don’t use the existing workshop because it’s part of a storage room which is more of a dump for everything that doesn’t fit in the house. The room is full of old shelves and two old wardrobes used for storage – it’s a mess. The greenhouse is just the same. I can create a small patio that gets the evening sun, to complement the big one that gets the morning sun, much more practical than the giant patio I had planned that gets no sun! The top photo today is of my lovely garden, taken from the patio that runs across the back of the house and basks in the sun from early morning to about 3-4pm. You get a good view of the garage, the back wall of which needs some TLC. 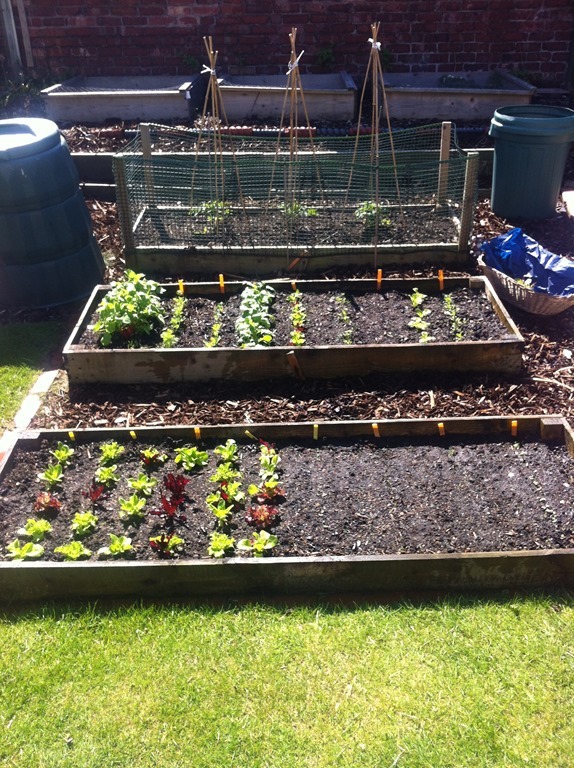 The second of my existing raised beds, the third is from the same spot but showing the early strawberry cold frames, the shed and the small greenhouse.